Earlier this week, I sent Cailtin at Healthy Tipping Point a one paragraph review of this book for her "7 Inspiring Fitness Non-Fiction Books" post. This is my longer, more personal review. In Poser, Clare Dederer tells the story of her life with her yoga practice as a frame. Each chapter is named for a yoga pose, and by explaining that pose - the mechanics of the movements, the challenges she faces while trying to master each pose, the history of yoga itself - she adds a new layer of depth and understanding to her own experiences. At first glance, you might thing such a device would become tiresome after four of five chapters, never mind twenty-three, but you'd be wrong. This book works. The concept works. It helps that Clare is funny and self-deprecating, and reminded me so much of myself and the people I know. 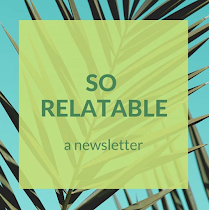 She is an educated and self-aware writer living in Seattle, whose parents' strange marriage and separation still affects her ideas about family and children, even as she starts and has her own. The theme of this book is perfection - Clare seems convinced that if she can just do everything right enough, good enough, then she'll never have to worry about her family falling apart again. Of course, that's a silly idea, and of course I have been guilty of the exact same thing. Knowing the futility of something doesn't mean you don't try to do it anyway. While we get a lot about Clare's family history and details about her life as she moves through it, her yoga practice is just as central to the book's plot. We see Clare's attitude towards yoga change and evolve over the years. While she originally begins practicing yoga as a way to heal her aching back, she soon finds that she is competitive about yoga - she wants to do all the poses perfectly, all the time. She is more focused on the physical expression of yoga than the mental, emotional or spiritual aspects. This was my yoga MO: sheer determination. I would do it. No matter what. I was willing to make a supreme effort. Not all poses lent themselves to effort, but the standing poses did. Somehow I couldn't see the irony of grinding my way toward freedom... It would be a long time before I could entertain the notion that maybe my yoga would improve if I didn't try so hard, and a longer time still before I began to question why my yoga needed to improve at all. When I read that passage, I couldn't help but laugh. I know that I'm guilty of this same drive - in class, I often look with envy at people who are stronger, more flexible, more centered than myself. Often, if I fall out of a balance pose I try and jump back into it as quickly as I can, without focusing on my breathing or taking my time. One of the things I love about yoga is that it is called a "practice." Even the gurus, people who have been doing yoga for decades, talk about their practice and what they've learned lately on the mat. Because in yoga, there is no moment when you're done, when you've mastered the art. You're always practicing, always discovering something new about yourself through the poses. In the chapter "Vinyasa," Clare talks about her struggles with chaturanga - a moving pose where you begin in plank and then lower your body, straight and strong, to hover at the ground - kind of like the down part of a push up. Clare is convinced she cannot and will not ever master this pose. I can't, I can't, I can't, I told myself. What happens when you tell yourself that you can't do something that you are asked to do over and over every day?... The fact was, after all those down-on-my-knees chaturangas, my triceps were actually hard. The fact was, I was strong. But it happens all the time: We make decisions about ourselves and our lives that are not based on fact. I love that last line and again - guilty as charged. I find in yoga - and in life - that when I free myself of all expectations I'm capable of more than I ever imagined. An excellent lesson to remember. 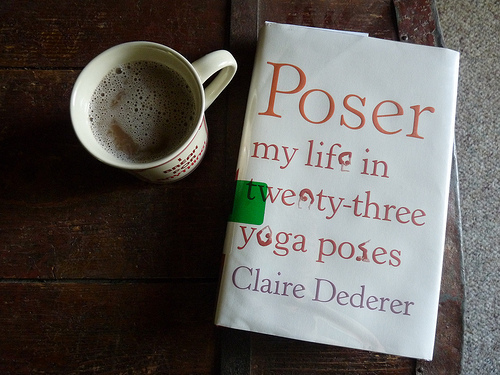 If you like to read about yoga, writers, marriage or motherhood, then I recommend Poser. It's got a little of everything and a lot of heart, making it my favorite kind of book. Namaste, y'all!